When you have excessive debt, it is not unlikely that you will lose control of your personal finances. If you want to stabilize your financial future, you need to do something about your debt situation. You cannot just ignore it and hope that it will not affect you. For a lot of Americans, that might be hard to do. We just can’t seem to stay away from debt. In fact, statistics show that the overall debt of Americans already passed the $4 trillion mark. This happened after the 2018 holiday spending. Combined with the rising student debt and car loans, it is easy to see how the balance has risen to this amount. While it is the norm in our society to use credit, that does not mean we should be irresponsible with it. Unfortunately, this is a recurring problem for a lot of Americans. It is a bad cycle that we cannot seem to get out of. After the Great Recession, people started to be cautious with the use of debt. They have seen the destructive side of it and promised to be more careful with it. But once things started to be okay, consumers became reckless with debt once more. A lot of them started to accumulate excessive debt. If you look at the way Americans handle their finances, you will not be surprised when you see the overall consumer debt. According to one survey, almost 3 out of 10 Americans have more credit card debt than emergency savings. This was more than the statistic 12 months ago and it is the highest one in the past 9 years since the survey was done. Obviously, consumers are struggling with high levels of debt. But how can you say that your credit levels are already excessive? There are three different ways to measure just how high your debts have become. The first basis is the amount of money that you are earning. This is known as the debt-to-income ratio. You simply have to add all your payments and divide it by your gross monthly income. This means the income before taxes. The result should be 40%. At least, this is the allowed DTI ratio for mortgage applicants. If you consider unsecured debts, it should be around 30%. If your debts are more than 40% of your gross income, you already have too much debt in your plate and you should not borrow until after you have gone below 30%. A different measurement for excessive debt is through your credit limit. According to the typical credit score rules, your credit utilization rate should be 33%. That means if your credit limit is $10,000, your debt should never go beyond $3,000 in total. If you start to go beyond that, your balance will have an effect on your credit score. 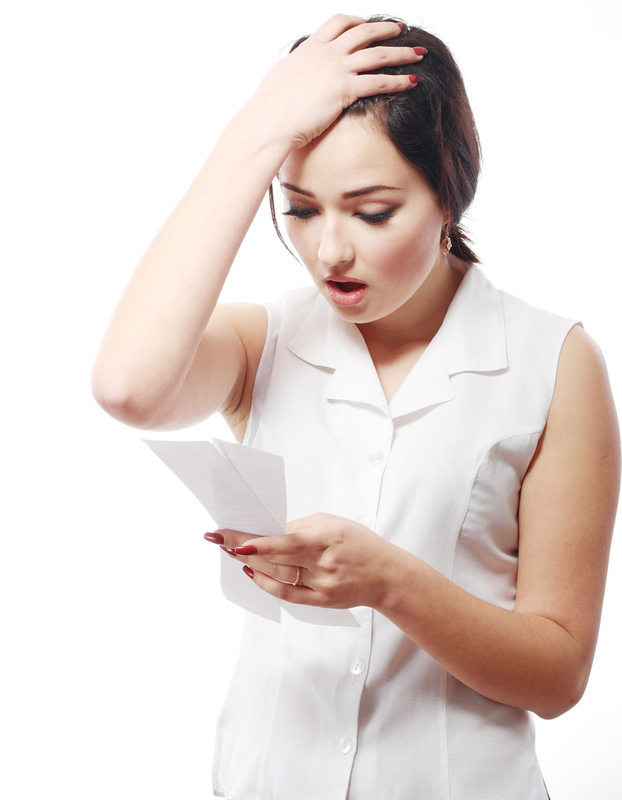 Once debt starts to have a negative effect on your score, that is an indication that you already have too much debt. The first two are for the benefit of creditors and lenders – or anyone who would like to look at your credit score. However, there is another way to measure if you have excessive debt – and it is probably the most important. You need to look at your budget. It does not matter if your DTI and credit utilization rate is okay. If you are finding it hard to save because you have too much debt, then you need to check if you are overspending. There might be a need to revise your budget. Maybe it no longer reflects the changes that you have in your life. Sometimes, there are instances that make it okay to spend more than your budget. But if you have a lot of debts, it might not be advisable to overspend even if it is for a good reason. If any of the reasons mentioned prove that you have excessive debt, it is important for you to do something about it. Sometimes, it is the financial struggles that push us to do better. Instead of feeling bad about your debt situation, you might as well use it to motivate yourself to do better. It might seem like an insurmountable task but getting out of debt is possible. It does not matter how much you owe. There is a way to be debt free. You just have to be willing to exert enough effort and make the necessary sacrifices to achieve your goal. Here are tips that will help you deal with excessive debt. Start by being honest about the reason why you are in debt. Oftentimes, the reason why you landed in debt is more important than how you got there. Even if you solve your debt problem, if you do not identify what got you in that situation, there is a possibility that you will end up in debt again. Did you get in debt because you had no emergency fund? When you are in the midst of an emergency, you will feel desperate enough to rely on debt to get out of a tough situation. Or maybe you were overspending because you did not have a budget plan? You need to make sure that your spending is within the range of your income. Once you have identified the cause of your excessive debt, you should make sure that it will no longer lead you to debt again. Another thing that you can do is to choose a debt solution that will help you pay it off. Regardless of the type of debts that you owe or your financial position, there is a solution that fits your unique situation. You have to do your research and get to know the different options that you have. Then, you need to analyze your debts and payment capabilities. You should also consider your financial goals. You want to choose a debt relief program that will allow you to get out of debt and at the same time, be closer to reaching your goals. If you ended up with excessive debt, there is obviously something wrong with your budget plan. You are either not following it or you have the wrong one. A budget plan can be aligned to your finances now but as you age, your priorities will change. Your monthly budget should change with that. If it does not change, you will end up making the wrong financial choices. That can lead you to debt. Before you start your debt relief program, make sure you check your budget plan and align it with your debt solution. That way, your debt payments are guaranteed. A study revealed that whatever we save on some expenses, we end up spending on non-essentials like dining out, entertainment, retail, etc. This is just one of the financial habits that you need to consider changing. Other habits include not spending your money wisely or failing to put money on your emergency fund. If you want to stay away from excessive debt, you need to make sure that you know how to manage your money wisely. In the end, it is not about how much you are earning. If you want to be a financial success, you need to learn how to manage it first.